Upcycling sums up today’s approach to interiors. It means re-using or re-styling things in an innovative and contemporary way, transforming an older piece of furniture from junk to fabulous. The same idea can even be applied to mass-market modern furniture – through ‘hacking’, you can give it a brand new use or an entirely different look. 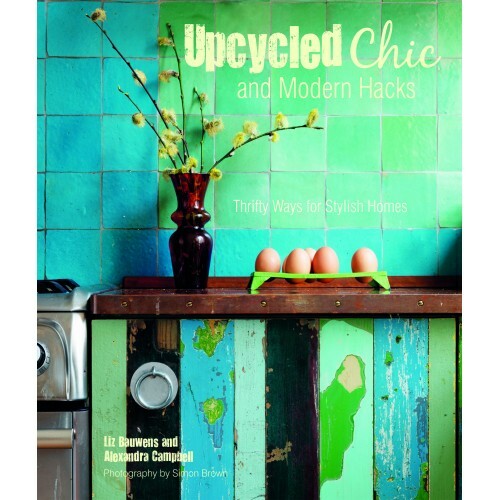 Both upcycling and hacking are about re-purposing, taking an inexpensive item and re-working it into something special and unique. It’s not just about making the most of your budget, although upcycling and hacks will save you money. It’s about having a home that reflects your style and individuality. Sometimes it’s just a question of looking at ‘that old thing’ in a different way, such as hanging an empty picture frame on the wall, using a piece of outdoor furniture inside, adding different doors to chain-store fittings, or combining traditional and modern in quirky, individualistic ways.